Founded in 1928, Abai Kazakh National Pedagogical University is the largest and leading university in Kazakhstan, one of the centers of the national pedagogical science and culture. 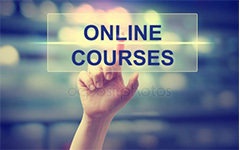 High quality education, a worthy place among the best universities of the republic and the first place in the ranking of pedagogical universities allow us to set and solve the most important tasks of preparing highly qualified specialists who are able to find their place in the labor market. Many of them will become those who will determine the further development strategy of Kazakhstan, write its further history and represent the republic in the world community. Being at the forefront of scientific knowledge, having a great historical and cultural heritage, the university strengthens the status of Kazakhstan education in the world educational space. Today Abai KazNPU is a diversified center for the training of scientific, scientific and pedagogical staff and specialists in the field of pedagogical education, economics and business, jurisprudence and international relations, social and political sciences. In our activities we are guided by the principle of well-trained teachers who determine the quality of education in general. One of the recognized methods of quality assessment provided by the university educational services are institutional and specialized (program) accreditation. - The University cooperates with foreign (ASIIN, Germany, ACGUIN (Germany), and with Kazakhstan accreditation bodies (IAAR , IKAQAE). - In 2014, the institutional accreditation of the university was held by the IAAR. Duration - until 2019. - In the period from 2012-2016. ASIIN and ACGUIN accredited 21 educational undergraduate and graduate programs of pedagogical profile. - 34 educational programs accredited in Kazakhstan accreditation agencies; 18 are accredited in the IAAR and 16 in the IKAQAE. - As of the beginning of the 2018/2019 school year, 55 educational programs have been accredited at the university (30 undergraduate programs, 23 undergraduate programs and 2 doctoral programs), which represents 41% of the total number of educational programs being implemented. All received certificates are posted on the site. 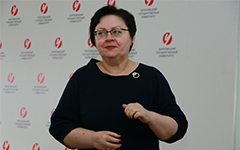 In the national rankings Abai KazNPU is a leader among pedagogical universities. So, on June 15, 2018, according to the rating of IKAQAE, Abai Kazakh National Pedagogical University, having received the highest rating of 100, in the category of pedagogical universities of Kazakhstan took the first place. In general, the 2018 ranking reflects the assessment of the activities of 60 universities of the country, which provided data for 289 curricula. 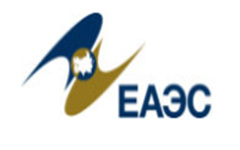 In addition, IKAQAE assessed the work of the websites of Kazakhstani universities on a number of parameters. In 2018, the site of Abai KazNPU entered the top ten university sites, taking the ninth line (in 2016, the site was on the 26th place). In January 2019, according to the results of the new ranking "WebometricsRanking of World Universities", which were published on the website of the research laboratory LaboratoriodeInternet (Edition 2019.1.0), the Abai KazNPU website took the 4th (!) place among 122 sites of Kazakhstani universities and 5181 among the universities of the world. 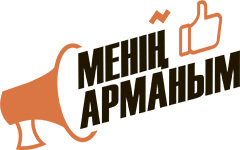 Among the pedagogical universities of Kazakhstan, the site of Abai KazNPU took the 1st place in this ranking! 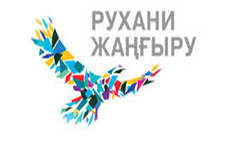 International cooperation has been and remains one of the priorities and the main competitive advantages of Abai Kazakh National Pedagogical University and positions it as a leader in teacher education - a powerful driver for the development of the country, which in 2019 ranked 481st in WorldUniversityRanking. According to the Strategic Development Plan of KazNPU until 2025 and the implementation of the project of the MES RK «Development of an educational hub in Central Asia and the modernization of science», the main goal is to make the university international in spirit and composition. For this it is necessary: to increase the number of students and teachers with English language training to 30 % of their total number of teaching staff and students, increase the number of contracts with universities from the TOP-500 - up to 25; the contingent of students under the program of academic mobility - up to 6.5%; introduce double-degree educational programs. Today, the university has more than 155 international treaties / agreements with universities from 36 countries, including 20 agreements with universities from the Top 500 Academic Ranking of World Universities (ARWU) (Cambridge University, University of Pennsylvania, University of Sussex, Beijing United University, University of Sorbonne Paris Cité, and others). Foreigners and stateless persons are admitted to the University within the framework of the Internationalization Program, in accordance with the laws of the Republic of Kazakhstan, on a contractual basis, and also under an international treaties ratified by the Republic of Kazakhstan. In the 2018-2019 academic year, 303 foreign students from China, South Korea, Mongolia, Vietnam, Congo, Nigeria and the CIS countries study at KazNPU, which is 3.9% of the total contingent. Their successful adaptation to the educational space is largely determined by the socio-cultural conditions and internal factors of the educational environment, the organization of psychological and pedagogical support. To this end, the University has established the Center for Adaptation and Support of Foreign Students «International students` council office», the institutes (faculty) have a curator system, a program of volunteers from among foreign students of Kazakhstani universities and Kazakhstani students studying in foreign universities is being introduced. As part of the program of the Ministry of Education and Science of the Republic of Kazakhstan for attracting foreign specialists, 35 universities participated in lecturing: 2 universities from the USA (7%), 11 universities of Europe (31%), from Asia (11-31%); from Russia - 11 (31%). The motivation for the teaching staff and staff of the university are the results of passing competitions and obtaining scholarships in various international educational organizations. The mobility of teaching staff and staff at the university is implemented through short-term seminars, educational modules, international programs Tempus, Erasmus+, the grant Best Teacher, etc. The number of teachers and staff traveling abroad (participation in seminars, forums, etc.) in the 2018-2019 academic year was 111 people, of which: 6 lectures, scientific internships - 47, professional development - 28, participation in scientific and practical conferences - 30. In the 2018-2019 academic year, 110 university teachers conduct classes in English, 18 of them, trained under the Bolashak program. One of the cultural and educational initiatives of the university is to popularize the cultural heritage of the great Kazakh thinker Abay Kunanbayev. - The Abay Center of the Kazakh Language and Culture at the University of Erzincan (Turkey). - Abai Kazakh-Russian Center of Science and Culture at Moscow State Pedagogical University (Moscow). The mission of cultural and educational centers is to popularize the heritage of Abay Kunanbayev, to conduct various seminars, exercises in regional studies, culture and history of Kazakhstan. The activity of the Abai centers contributes to the integration into the international scientific and educational space, the implementation of the image policy and the promotion of Abai KazNPU abroad. The main task of the university is the quality training of teachers of a new formation, competitive, progressive-minded, with a creative attitude towards themselves and society. Educational and scientific work of the students is organized in the 7 institutes: Pedagogy and Psychology, Mathematics, Physics and Informatics, Philology and Multilingual Education, Arts, Culture and Sport, Natural Sciences and Geography, History and Law, Sorbonne-Kazakhstan. For organization of pre-university education, educate young people for a steady motivation to get a teacher`s profession, the University opened this year the Preparatory Faculty. 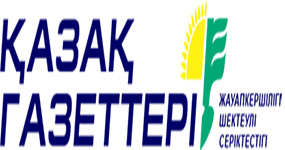 In the national ratings of Abai KazNPU holds leading positions among pedagogical universities. December 6, 2014, thanks to the direct support of the President of the Republic of Kazakhstan N.A. Nazarbayev and President of the French Republic François Hollande, there was opened a «golden bridge», strengthening Kazakh-French cooperation in scientific, educational and cultural fields, - Sorbonne-Kazakhstan Institute, which indicates the high importance of the joint educational project for both countries. This is the second in the world and only in Central Asia branch of the Higher Education Research Center «Sorbonne of the City of Paris» (PRES Sorbonne Paris Cité). 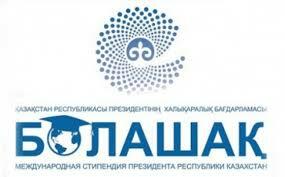 About 9 thousand students study at Abai Kazakh National Pedagogical University. 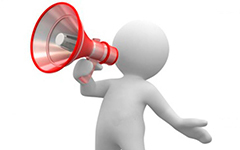 Training is conducted on double diploma programs in bachelor`s and master`s programs. In the 2015/2016 academic year, the first graduation of the Sorbonne-Kazakhstan Institute took place. 42 masters of specialties «Management» and «International Relations» became holders of diplomas of Abai KazNPU and University «Sorbonne of Paris». The implementation of this international project by Abai KazNPU will undoubtedly expand the possibility of obtaining a prestigious European education, not only for the people of Kazakhstan and the countries of Central Asia, but also for the whole Eurasian continent. Educational activity at Abai KazNPU is conducted on 145 programs of higher and postgraduate education, including in the following specialties: undergraduate - 62; magistracy - 53; doctoral studies - 30. Educational work at the university is carried out according to the «Mentoring System» instead of traditional supervision. The peculiarity of this system is the participation of the entire teaching staff and staff in educating students, which ensures 100% coverage of students. Each teacher and employee is a mentor to 5 students during the entire period of study. The result of the current mentoring system is that in the past five years no student has committed any crimes. One of the tasks of a modern high school is the development of internationalization in all areas of activity: educational, scientific, extracurricular. The university has a modern material and technical base. The educational process is conducted in 12 academic buildings with a total area of 55 thousand square meters. This - 24 computer classes, 15 - language laboratories, 45 - training and scientific laboratories, 44- workshops, 38- interactive audiences. The reading rooms of the university library work not only in educational buildings, but also in student dormitories. The library fund is more than 1 700 000 copies. It concentrates textbooks, teaching aids, monographs, wonderful examples of fiction. The library also concentrates the richest fund of world fiction and rare editions of the 18th - early 20th centuries, in foreign languages. The area of sports facilities is more than 100 thousand m2. At the students` disposal there are sports and gyms, a football field, andrunning tracks of the Spartak sports complex for active recreation and a healthy lifestyle. The university has a health center for the provision of preventive and emergency medical care. According to the results of the annual comprehensive medical examinations, the overall incidence rate of students at Abai KazNPU currently has a tendency to decrease. An important issue is the organization of student meals, which is on a special and constant control. In the academic buildings there are canteens and buffets with a total area of about a thousand square meters. Psychological Service Office was opened to provide consultative and corrective work among the students. Today on the balance of the university there are 5 comfortable dormitories with a total area of more than 17 thousand square meters, with access to Wi-Fi. Abai KazNPU in 2025: The leader of teacher education in the CIS! Our corporate culture and infrastructure is conducive to the full unlocking of students. Transforming the results of advanced research in the field of pedagogy, teaching methods and teaching technologies into the best educational programs, the University enhances the prestige of the teaching profession and becomes a powerful driver for the development of the country. Based on the most advanced techniques and programs we are preparing teachers of the XXI century! Our graduates are professionals who are ready to anticipate the rapidly changing needs of modern students.